Amy has been passionate about health and fitness for the past six years. 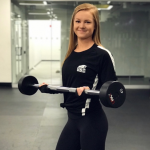 She has always led a healthy lifestyle through extracurricular sports, but found that the gym was a place she could concentrate training exactly how she wanted to. She focuses on listening to her body, and adjusting her workouts and diet accordingly. She believes in using fitness to better physical and mental health in order to lead a successful life. Amy’s mission is to bring this mindset to her clients so they find a way to empower themselves. Amy will tailor your program to whatever your physical and mental needs may be. She will support you through this process so you can apply this mindset to your everyday life. 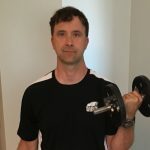 Jay has worked in the fitness industry for over 20 years at various community and university recreation centres and has gained considerable experience and knowledge in many aspects of fitness. He is currently completing a Bachelor of Science in Kinesiology (Health Sciences option) 3rd year. Fitness is Jay’s passion and his goal is to inspire and motivate others to exercise consistently so they can enjoy the health benefits and improve the quality of their lives. 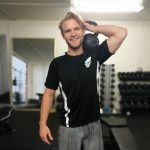 He personally enjoys cycle fit training, weight training, various styles of cardiovascular training, core training, interval training and of course stretching. 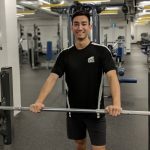 Andrew is a 4th year Kinesiology and Health Sciences student at UBC. His fitness interests include powerlifting, bodybuilding, and mixed martial arts. These interests stemmed from his 5 years of competitive wrestling. 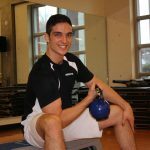 Andrew has experience with coaching, programming, and strength conditioning for athletes of all experience levels. 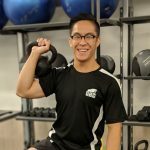 Through his Kinesiology degree, Andrew has learned the fundamentals of strength training and programming for individuals of all ages and fitness abilities. He can adapt workout plans to cater to your goals and specific needs. No matter your fitness experience, Andrew will support your confidence, and motivate you to reach your own goals. 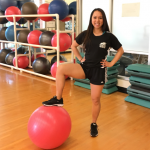 Jennifer is a third-year Kinesiology student who has always been passionate about all aspects of fitness and health. Throughout her life, she has partaken in many physical activities such as basketball, volleyball, track, and weightlifting. 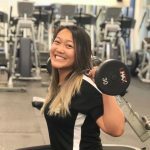 After training for the past five years and competing in two weightlifting competitions, Jennifer has incorporated both powerlifting and Olympic weightlifting into her regular training. She believes that power and strength not only builds one’s overall confidence, but also one’s overall health and wellbeing. Jennifer will create a well-balanced program to meet your goals through a variety of exercises and will continuously motivate you throughout your fitness journey. Isabelle is a fourth-year Kinesiology and Health Science student who is passionate about all aspects of health and wellness. She has always enjoyed living an active lifestyle through a variety of activities including running, weightlifting, hiking, yoga, and skiing. She believes in the importance of exercise to improve mental health and well-being as well as physical health. 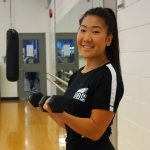 Learning about health and fitness through schooling and first-hand experience has provided her with plenty of knowledge that she would love to share with others. Isabelle will create a balanced program that is tailored to your goals and will keep you motivated and positive throughout your fitness journey. Through a variety of exercise techniques, she will strive to make physical activity a fun experience. 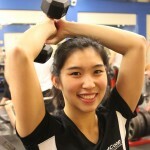 Karmen is in her 3rd year studying in the UBC School of Kinesiology in the Physical and Health Education stream. As an aspiring teacher, Karmen strives to be a positive role model who walks the talk in living a healthy and active lifestyle. Growing up, Karmen was a competitive athlete on various volleyball and basketball school and club teams until she found her passion in running as a 100m/200m track and field sprinter. More recently, she has switched to long distance running competing in local road races such as half marathons and triathlons. Through consistency and commitment, Karmen will work with you to create a program that is personalized to your goals. She is a strong believer in challenging and pushing physical limits, but also understanding them. She wants to support you in your fitness journey as your biggest fan to become the strongest, healthiest and happiest versions of yourselves, both mentally and physically. Taha is a 4th year science student, integrating the majors of Physiology and Kinesiology. Taha is very passionate about health and fitness. Through a combination of heard work and self education, he has not only built his physique and health. but has also learned how to improve self confidence and overcome self doubt. Taha regularly practices bodybuilding, powerlifting, yoga, and basketball, and also has experience in a variety of areas such as soccer, mixed martial arts, and swimming. Taha will find the right program for you and push you through your limitations while being very supportive through every step of your personal growth. Jennifer is a fitness enthusiast who seeks to inspire and motivate others to live more actively. She has been involved in a variety of activities and sports such as swimming, volleyball, track and field, dance, yoga, powerlifting and more! She believes that everyone should take part in a physical activity in order to live a healthy lifestyle. Being active helps reduce health risks, increases energy, confidence and happiness! It also provides an opportunity to meet new friends. Jennifer likes to incorporate unique movements and exercises learned from the variety of activities that she has been involved in. She has a specific interest in strength, conditioning, powerlifting, and core exercises. Jennifer’s goal is to promote healthy living by creating a comfortable atmosphere and fun workouts which are personalized for your specific needs and goals. Becky believes that exercise is more than just a hobby, it is a continuous goal that brings about positive mental and physical well-being. Becky is completing her Bachelor of Kinesiology and Health Sciences, and has additional experience as a badminton, basketball, and swimming. She enjoys using strength training to help her clients relieve stress and improve fitness. 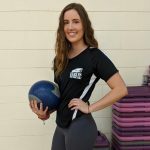 With her personal fitness experience, a degree in human kinetics, and a strong focus on proper technique, Becky will help you exercise safely and effectively while keeping workouts fun and rewarding. Becky is fluent in Cantonese, Mandarin, and English.